March is one of my favorite month’s of the year because it’s my birthday month so let’s celebrate with a giveaway! March is a magical month that contains quite a few events. March is known for basketball tournaments and St. Patrick’s Day. March ushers in the 1st day of Spring and also begins daylight savings time which means longer days. It also means the end of winter which sounds pretty good right about now. A group of fabulous bloggers have come together to bring one lucky reader a $300 Amazon or PayPal March Madness Giveaway! The bloggers that have donated towards the cost of this giveaway will be found on the Rafflecopter. 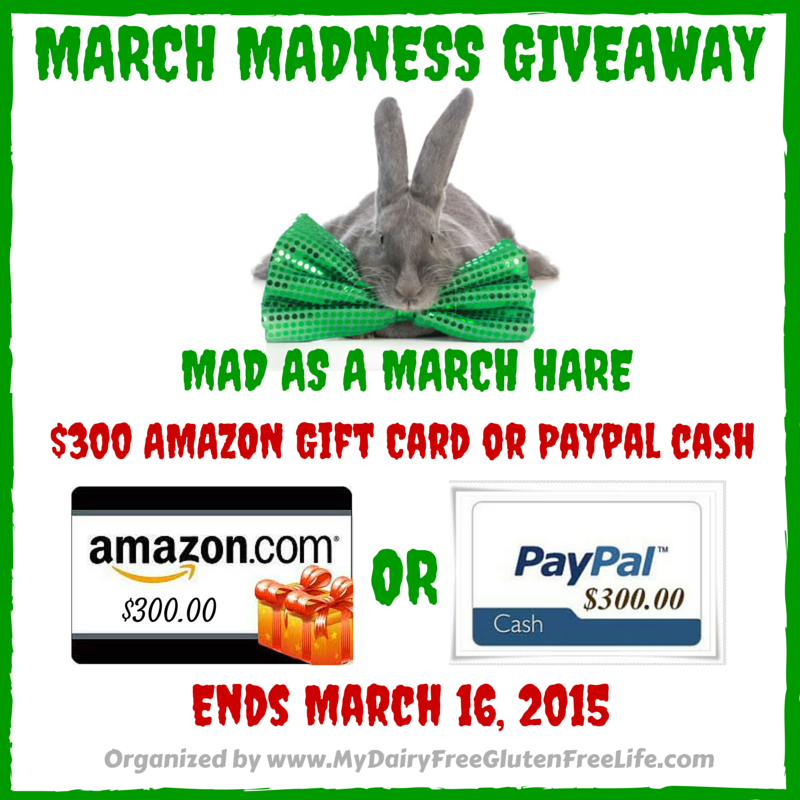 This giveaway is open worldwide and ends March 16, 2015 at 11:59 PM EST. Please read our Terms and Conditions at the end of this post. Terms and Conditions: This blog and any participating blogs did not receive compensation for the published material in this post. No purchase required to enter this giveaway and there is a limit of one entrant per household. Void where prohibited. Odds of winning are determined by the number of valid entries received. Winner will be chosen by Random.org and will be emailed via the email address used to enter the contest. New winner(s) will be chosen if original winner(s) has not responded within 48 hours of email notification. This blog and other participating bloggers are not responsible for shipment of prize(s). Sponsor(s) are responsible for all shipping costs related to prize(s). This giveaway is not administered, sponsored, endorsed by, or associated with Facebook, Twitter, Google, Pinterest or other social media outlet. Disclaimer is posted in accordance with the Federal Trade Commission 10 CFR, Part 255 Guides Concerning the Use of Endorsements and Testimonials in Advertising.